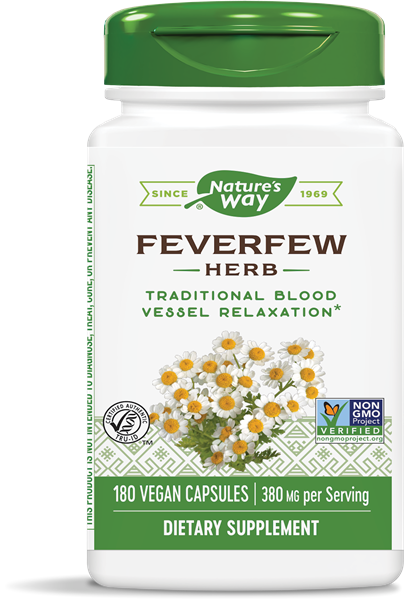 Feverfew Leaves / 180 Caps - Nature's Way®. Caution: Do not use if pregnant, nursing or allergic to plants of the Asteraceae, Compositae or Daisy family. If taking any medications, consult a healthcare professional before use. Certain individuals may experience oral or gastric irritation with use. If irritation occurs, discontinue use immediately.